Simon founded Simon English Property Search in 2009 and has been in the property business since 1979. He has an exemplary track record of success. 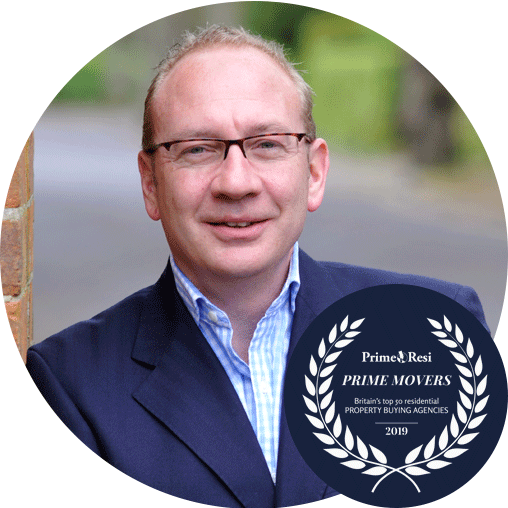 Having worked as a partner of a leading Chelsea estate agency and national network in the Home Counties Simon developed an extensive network of strong personal contacts throughout the industry. We can ensure that you, as a client, are first through the door whether you are looking for a home or a rental investment. As buying agents, our extensive market knowledge can save you time. We also have access to properties not yet on the market and to those which may never come to the market. In terms of the sale of your property, we have the skills and experience to ensure that you maximise the potential of what is, more than likely, your single biggest asset. Simon is unique and an absolute pleasure to deal with. Totally professional and dedicated to his work and clients, and always goes that extra mile to find each client their perfect home or investment. Being Australian and living in Sydney, we soon realised looking for the ‘right’ house in London was more tricky and time consuming than we expected. In short, he saved us a huge amount of time and his specialist knowledge gave us the peace-of-mind of knowing that everything had been done thoroughly and with professional rigour. Not being from London and uncertain of protocols and areas where to invest, Simon’s insight and knowledge was exceptional and we settled on a property that satisfied all our needs. To have Simon searching and acting in our interests was a necessity rather than a luxury. Simon English Property Search specialises in sourcing, negotiating and acquiring residential property in London and the Home Counties on behalf of UK and overseas clients. We provide an exclusive, tailor-made service whether you are selling, buying or looking to rent and are involved at every stage of the process.